Happy Monday!! Nicole here today - I hope everyone had a good weekend!! It appears to be officially "pumpkin spice season" now!! 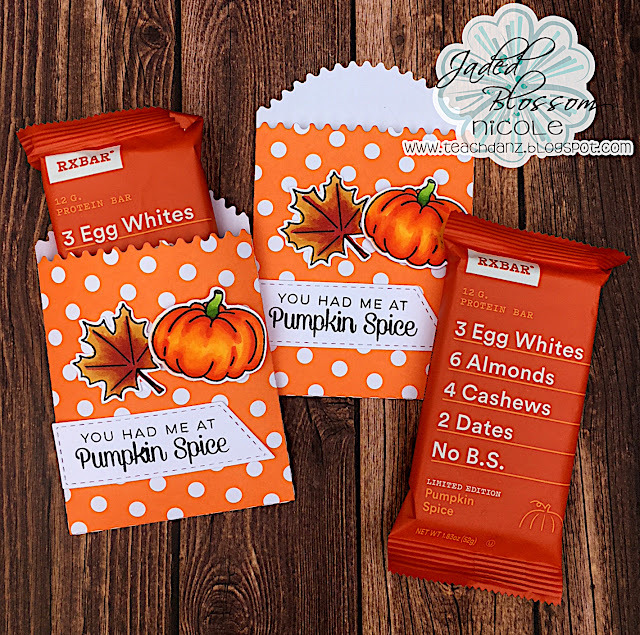 Everywhere I go I see some new product advertising a pumpkin spice twist or flavor!! 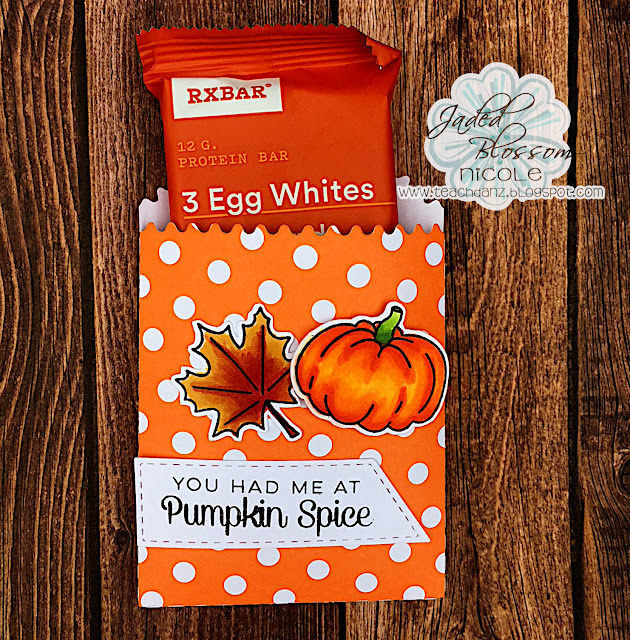 I even found some of my favorite protein bars in Pumpkin Spice!! This gave me an idea to create a way to "gift" these treats to some of my friends. Thanks so much for stopping by today!! Have an awesome week! !